Factory café is located nearer to industrial sites. 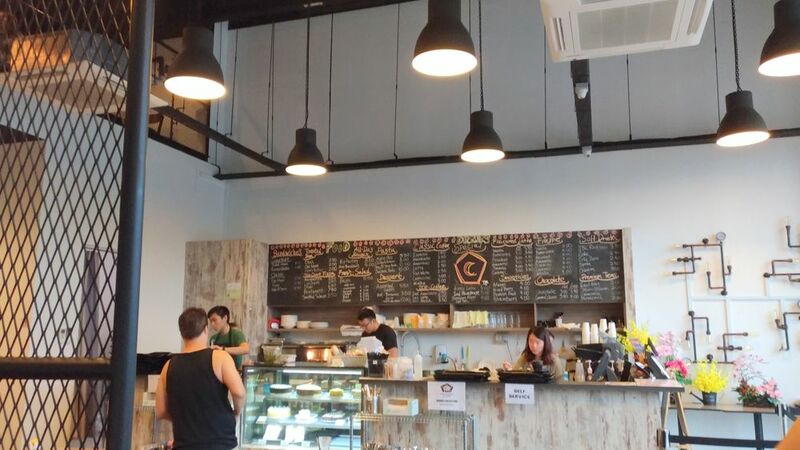 To match this vibe, the café has a very minimalist décor to mimic the industrial look and improve the overall ambience transition when you step into the café. The exposed pipes, open bulbs and floral décor elevate the look even more. 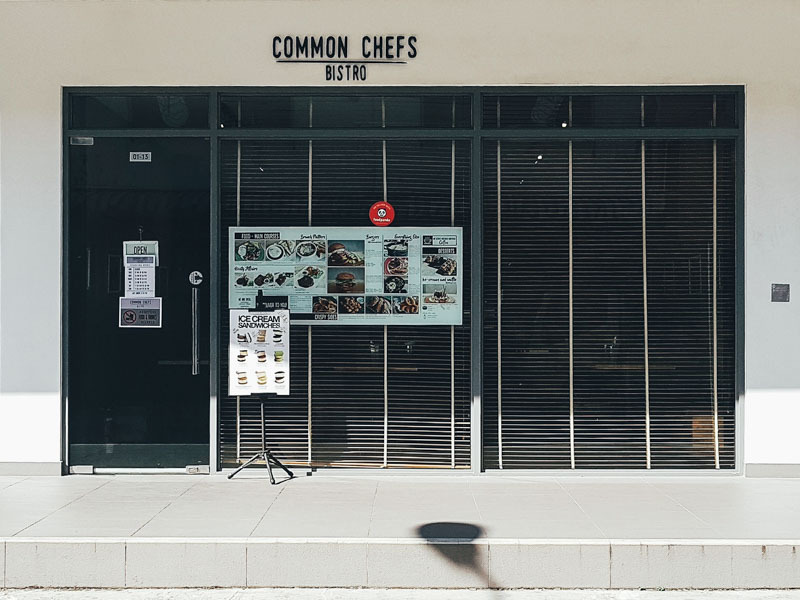 The concept of this café is to become a fusion restaurant with affordable prices, with items even falling under the $3 mark. Their signature “old school bun” is a modernised version of a luncheon meat and egg sandwich and it certainly does not break the bank, costing just $2.50. they also combine flavours such as Taiwanese and Italian with their lap cheong carbonara. The sausage replaces the conventional bacon or ham in carbonara and substitutes it with this local rendition of the dish. The sweetness of the sausage adds a depth of flavour only possible with the combination of these cuisines. 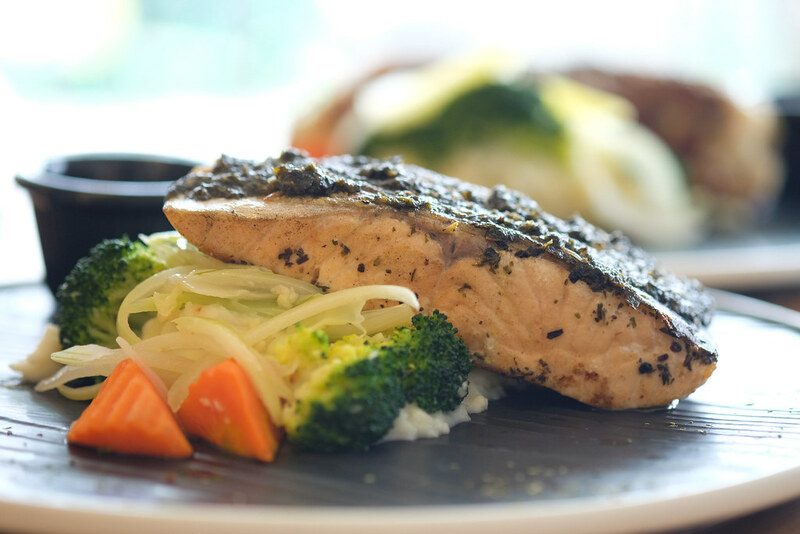 They also sport a modern take on chicken rice by seasoning the chicken with seasame to enrich the flavour. 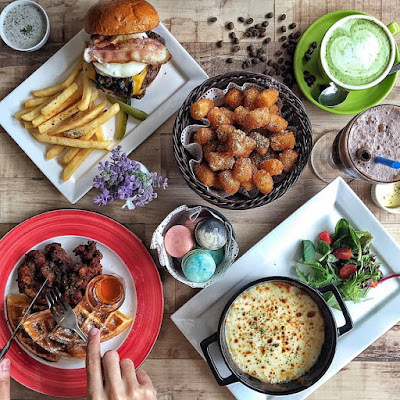 This café is truly not to be missed if you are looking for a flavour explosion. To top it all off, they also feature stunning desserts to complete the experience. Don’t think we forgot about the Muslim community as the last spot is indeed a Halal certified café. 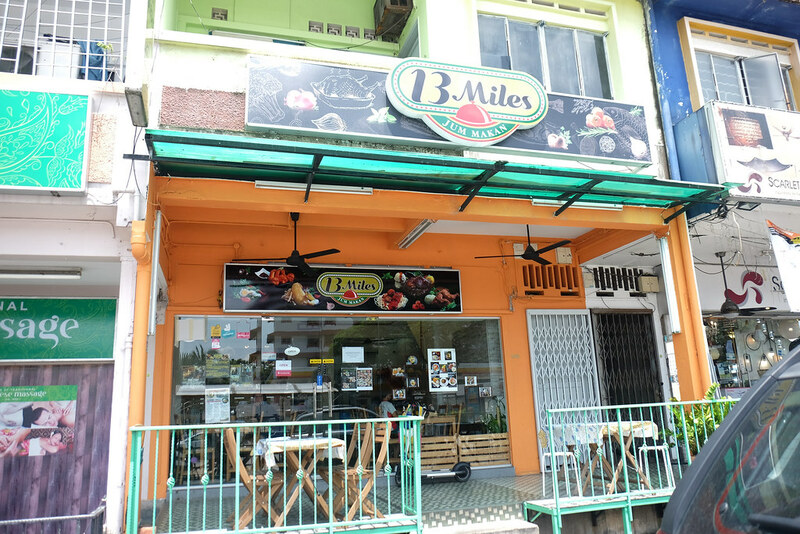 13 Miles is a café that binds the best of two completely differing cuisines- Thai and Western. Their interesting concept puts out dishes such as “Tom Yum Chicken Chop Pasta” which is sure to tingle your tastebuds. Not a fan of fusion? 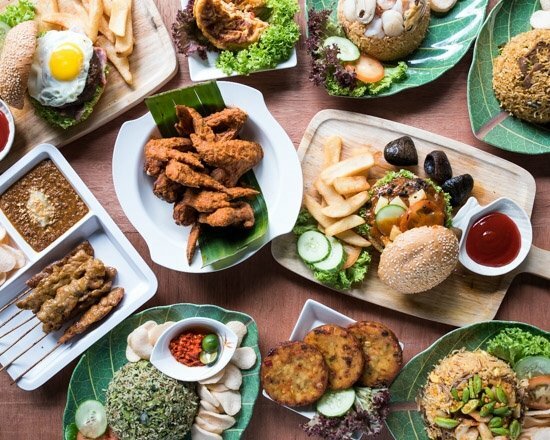 Don’t fret as the café does serve dishes specified to single cuisines as well, more familiar flavours such as “sambal kangkong” and even “sirloin steak” are available options for the safer eaters out there. It’s no wonder that reviewers gave it a 4.5/5 star rating.